"When we encounter a black cat crossing the road, it means it is ... going somewhere!" We often see a black cat crossing the road is a bad omen? Even in the age of modern civilization and technology, a lot of people still believe that a black cat crossing a road is a misfortune. Some even canceled their upcoming appointments and schedules as soon as they got out and encountered a black cat because they thought it was a bad sign and would bring disadvantages to the upcoming plan. mine. So why does a poor animal suffer from the label of such misfortune, let me find out! Before learning about this anecdote, let's look over the black cat in terms of biology. The black cat, a normal cat with black fur, according to the biological classification, has about 22 breeds of cats with black fur including purebred and hybrids. According to the American Fanciers Cat Association, the black cat is mostly like Bombay cats, especially with the black fur that is mostly seen in male cats rather than female cats. In addition to pure black fur, the other noticeable point in the Bombay cat is their eyes, bright yellow eye color that adds to the mystique of these cats. Because of the high content of melanin, they have such mysterious eye color. The misfortune of encountering a black cat across the street does not have any scientific arguments except the superstition that originated thousands of years ago. Since ancient Egypt one of the first civilizations of people, people worship god Bastet, a goddess whose head resembles a cat. Depending on the neighboring civilizations, there are many different names for this god, such as Bast, B'sst, Baast, Pasht, Ubaste, Baset and Ailuros. Other cats were very revered at that time in Ai. Ancient update. Thanks to their menu of rodents and vermin, even snakes will be helpful to humans, who are now primarily farming, purebred cats raised indoors and considered a city. royal family member Especially in landlords' families, cats are allowed to eat the same tray with their owners and wear gold jewelry. Killing a cat is considered one of the most serious crimes, the person who killed the cat will be sentenced to death, so many people abstain and become afraid of cats. Thanks to the legacy of the goddess Bastet, most of the royal kittens after death were embalmed like a member and preserved, as evidenced by the recent discovery of archaeologists by many archaeologists. Cat species at a cemetery in Egypt. According to Western history, black cats are purely a symbol of misfortune, giving an unhappy premonition. Most of Europe considers a black cat a symbol of misfortune, especially if a black cat crosses a human path, believed to be an omen of misfortune, suffering and death. Why is that? Europeans believe that black cats can embody human forms as spies, information about humans for evil witches or for demons. Because some mystics of this time used cat skulls to make some mystical drugs, people began to suspect that cats were a Satan messenger. Especially religious followers, they think that black cats are part of activities to summon demons. So the medieval black cats were completely abandoned, becoming feral cats, anyone who was secretly raised or caught playing with a black cat was punished, even onions. picture in place. Despite being treated badly in some cultures, there are still some that suggest that black cats in some situations bring luck. Typically in Scotland, the fact that a black cat appears in any room is a sign of prosperity coming. In Germany and Japan, it is believed that black cats from left to right are good omen. Many sailors regularly carry black cats throughout their journey, because they believe that it is a spirit. Wives of fishermen also regularly keep black cats at home because they believe there will be souls to protect their husbands in the open sea. Although not very much affected by this anecdote, there are some parts that hinder cats in general and especially black cats. They think that the way cats call "meow" sounds very similar to "poor poverty", so they tend to prefer dogs because they often call "rich". 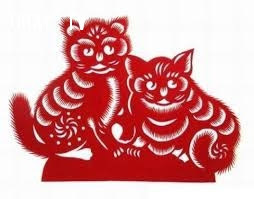 But this is just a very superstitious view, saying that, in terms of culture, cats are a folk symbol, the fourth of the Twelve (12 animals) as an affirmative point. culture compared to 12 Chinese animals, instead of rabbits. Because cats recognize the friendliness and benefits of cats, so cats are ranked fourth, instead of rabbits only eating vegetables destroying crops. In short, whether or not a black cat has a bad omen depends on each culture, but in general it is only oral stories, with no clear evidence. In fact, black cats are also cats like many other cats, they are a lovely creature and need to be taken care of, not to mention they will help us clean the house from rodents and cockroaches.